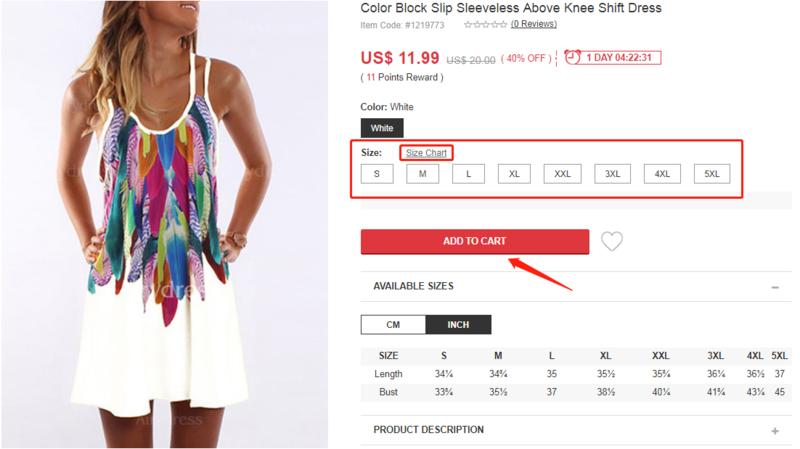 Choose the Size and Color of your choice. The item has been added to shopping cart, as shown below. 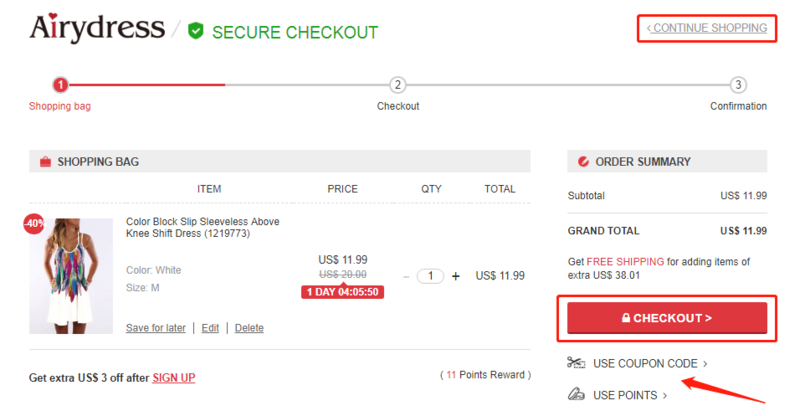 b.You can ALSO Click” CONTINUE SHOPPING” to add more items to your cart. 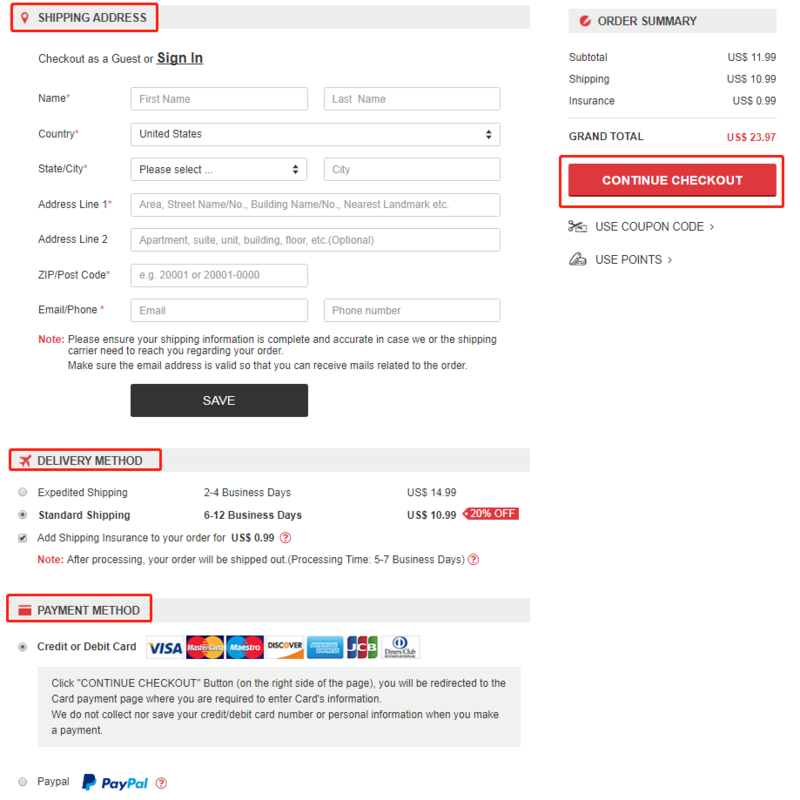 4.Choose the payment method and complete your card information to proceed for Payment. 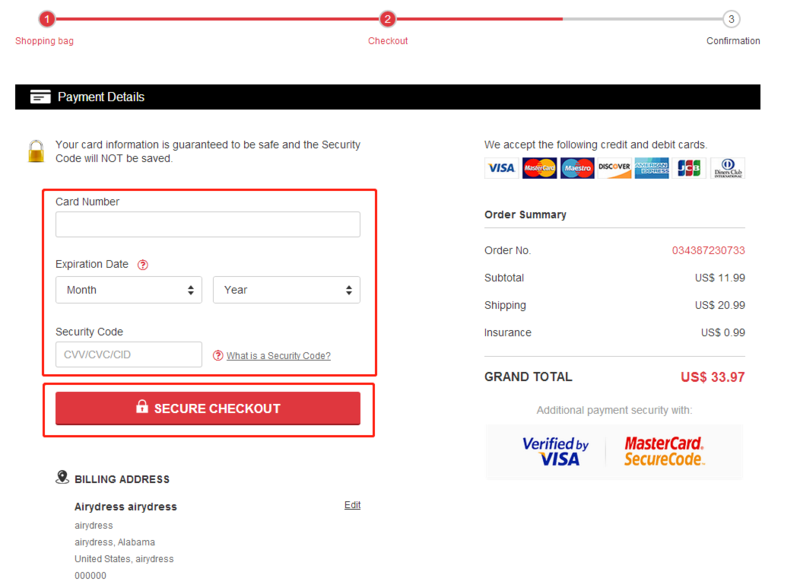 For the final step, enter your payment details and billing address then click “SECURE CHECKOUT” to complete your purchase. You may click order number to see your “My Account” page where you can track and manage your orders.